Nagwa T. Elsharawy, Hesham A. Mahran. Beef meat considers one of the major and expensive sources of animal protein. It is an excellent media for bacterial growth. To ensure production of good keeping quality meat, slaughtering should be in slaughterhouses under veterinary supervision and complete hygienic measures as the main sources of meat contamination occur during slaughtering processes. 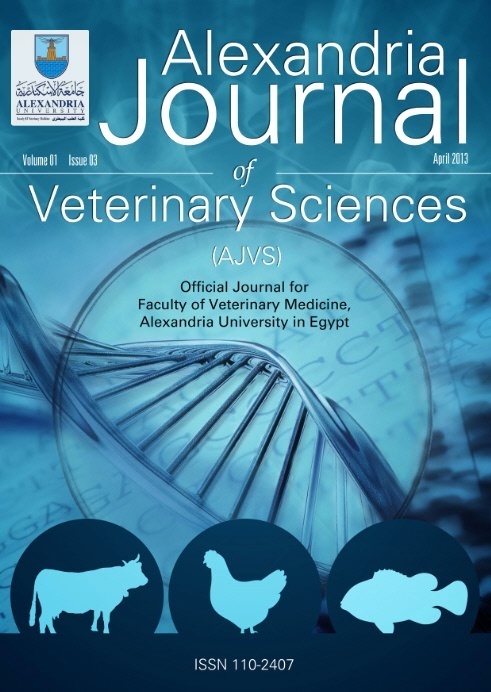 This study aimed to evaluate the hygienic conditions of Elkharga municipal slaughterhouse, New Valley governorate, Egypt as well as the meat quality. A total of 200 different samples include; meat, air, tank water, tap water and floor/wall swabs (40 samples/each) were randomly collected from the slaughterhouse. Samples were examined bacteriologically for determination of the total aerobic, total anaerobic count, Escherichia coli (E. coli), Staphylococcus aureus (S. aureus), count as well as detection of Salmonellae was attempted. The results revealed that the means values of total aerobic counts, total anaerobic counts, E. coli, S. aureus counts for meat samples were: 3.796 ×105 ± (93.07 × 103), 1.468 × 103 ± (10.70 × 10), 2.466 × 103 ± (15.54 × 10), 9.94 × 102 ± (15.7 × 10) CFU/g, respectively while Salmonellae spp. Could not be detected. Also, it was noticed that tap water had higher microbial load than tank water and floor was more contaminated than walls samples. On contrary, the lowest microbial contamination was recorded in air samples. On comparing the obtained results of meat evaluation with the Egyptian Standard Specification (ESS), it was found that 47.5% of samples exceeded the permissible limit for total aerobic count (106), 15% for total anaerobic count (102), 35% for E. coli (102) and 27.5% for S. aureus (102). In conclusion, more governmental efforts are still needed to control the microbial contamination and improve the environmental quality and infrastructure of Elkharga slaughterhouse in New Valley, Egypt.